You're eager to reach your next career milestone. As a working professional you need flexibility. 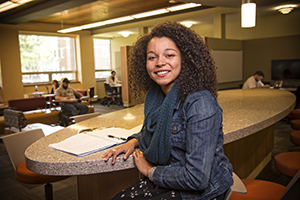 The Part-Time and Online MBA programs at UNH are designed just for you. Whether you take evening classes on our Durham or Manchester campus, complete the entire program online, or combine both, you tailor your classes to accommodate your professional and personal commitments. Why get your MBA online or part-time? You’re eager to advance your career and have your sights set on an MBA. It’s a great investment and will help you develop the highly sought-after skills and knowledge needed to advance in your current organization, shift career paths, or re-enter the workforce. Working professionals and parents need flexibility. The part-time and online MBA programs at UNH’s Paul College are designed for you with flexible delivery of courses. Take classes entirely online, evenings face-to-face on UNH’s Durham and/or Manchester campuses, or combine both. You will learn with the same great professors who teach in our full-time program. Why choose UNH’s part-time or online MBA program? Our nationally ranked MBA is the only New Hampshire program accredited by the Association to Advance Collegiate Schools of Business (AACSB), the gold standard for business schools. Our faculty stand out as active researchers and former executives who bring real-world perspectives to their teaching, and your classmates, averaging 10 years of professional experience, will challenge you to think beyond your own beliefs and ideas. Our industry-driven curriculum includes optional specialization areas in finance, information systems and business analytics, marketing, global business, growth and innovation, or hospitality management. 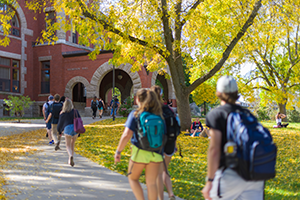 Start in the in the fall or spring and complete your degree in two- to three-and-a-half years. GMAT may be waived with significant professional/military experience. The M.B.A. Part­-Time evening option is an excellent choice for professionals in the workforce who are seeking to advance their careers. This innovative program provides the opportunity for students to earn a degree in as little as two years. Courses are offered at the Durham and Manchester campuses. Instituted in 1996, the Part-Time evening M.B.A. program is primarily designed for those who are highly motivated and capable of balancing a full­-time work schedule with evening study. Classes meet from 5:30-­9:15 p.m. The Part-­Time, Online and Full­-Time programs all share the same faculty. Admission points are in late August and January. 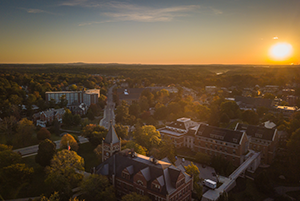 The new and innovative curriculum common to all the MBA programs at UNH - Full-Time, Part-Time and Online - is specifically designed to align the learning objectives in the core courses and free up more time for elective/specialization courses. The curriculum does this by integrating courses, identifying key skills and concepts necessary for success in business, and then helping students master these skills and concepts through class discussions, cases, guest lectures, and projects. Throughout the program, students will be exposed to knowledge that builds insight into complex organizations. The only Part-Time M.B.A. program in northern New England ranked among the nation’s top 100 by U.S. News & World Report making this program #1 in northern New England. The fast­-track M.B.A. Part-Time option gives students the flexibility to earn an advanced degree from an AACSB accredited institution in as little as two years. Students have up to three and a half years to complete the curriculum. Students have the opportunity to participate in a 10 day international residency as part of the international management course. The residency combines lectures, corporate visits, and cultural activities. Six areas of specialized concentration are available - finance, information systems & business analytics, marketing, global business, growth and Innovation, and hospitality management - as well as a variety of elective courses. The Online M.B.A. degree is an excellent choice for professionals in the workforce who are seeking to advance their careers, but who cannot regularly attend classes on campus. This innovative program provides students with the opportunity to earn a degree in as little as two years from anywhere in the world and has rapidly grown to become the Paul School’s most popular M.B.A. program. The Online model is primarily designed for those who are highly motivated and capable of balancing a full-­time work schedule with online study. Courses are designed to facilitate information sharing outside the constraints of time and place among a network of people. The Online M.B.A. program follows the same curriculum as the Part-­Time M.B.A. allowing students to move back and forth between the two models if they choose. Admission points are in mid August and January. The program is primarily asynchronous. Students can log on anytime during the week to complete their work adding to the flexibility of the online option. NB: The online courses, like those that are face to face, may require team projects that necessitate coordinating the schedules of those involved from time to time. The only Online M.B.A. program in northern New England ranked among the nation’s top 100 by U.S. News & World Report making this program #1 in northern New England. The Online M.B.A. option allows students to earn an advanced degree from an AACSB accredited institution in two to three and a half years from anywhere in the world. M.B.A. courses are primarily intended for matriculated students who have been admitted to the M.B.A. program. Other degree-seeking students and M.B.A. alumni may request permission to register for courses on a space­-available basis. Seven electives are required for graduation in addition to the 9 core courses. One of these electives must be an international course. Students are not required to take two courses each term, but doing so leads to faster degree completion. A program advisor will help students map out their curriculum pathway upon matriculation. Part-­time (evening) and online students typically begin the program in the fall term, although January admission with a reduced course load is possible. The degree is comprised of nine required core courses and seven electives. ADMN 982 Creating Winning Strategies is the capstone experience. Students may petition to waive up to three core courses. A waiver is typically granted if the student possesses a major (five to six courses from an AACSB­ accredited institution) in a core area earned within five years of matriculation, e.g., a student with a major in finance may petition to waive the M.B.A. core course in finance. The program is designed to permit students who begin in the fall to complete the degree in less than two years, although a more relaxed pace is also possible. Students have up to three and a half years to complete the curriculum. Two or more years of experience required.